View Dublin City Gallery The Hugh Lane on Google Maps. Buses: 7, 11, 13, 16, 38, 40, 46A, 123 and many other bus routes pass close to the Gallery on O’Connell Street / Parnell Square. 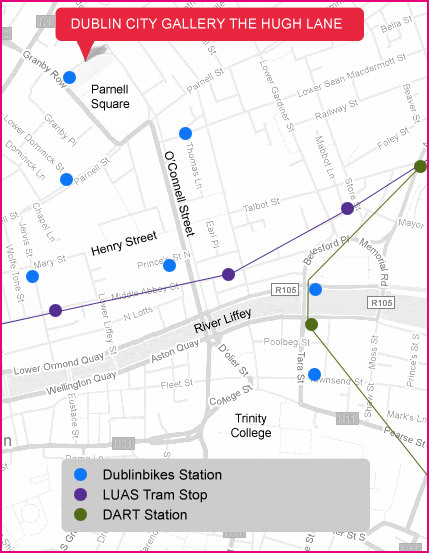 See http://www.dublinbus.ie/en/Your-Journey1/City-Centre-Bus-Stops/Parnell-Square-Bus-Stops/ for further information. Train / DART: The Gallery is approximately 15 minutes from Connolly Station & Tara Street Station. See www.irishrail.ie for further information. 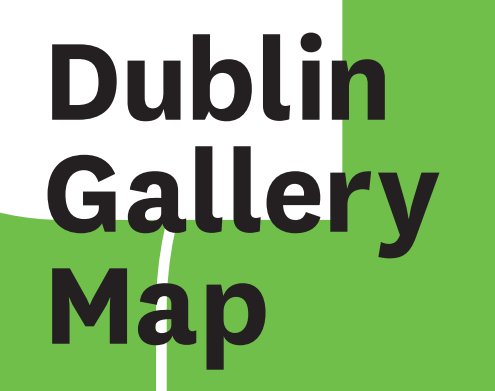 For information on galleries in Dublin see www.dublingallerymap.ie.